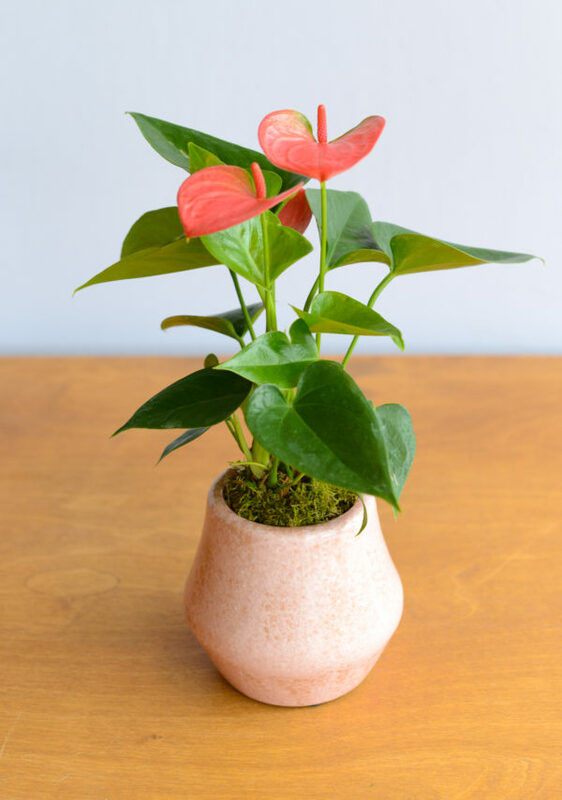 This bright pink potted anthurium (also known as a flamingo lily!) 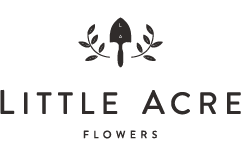 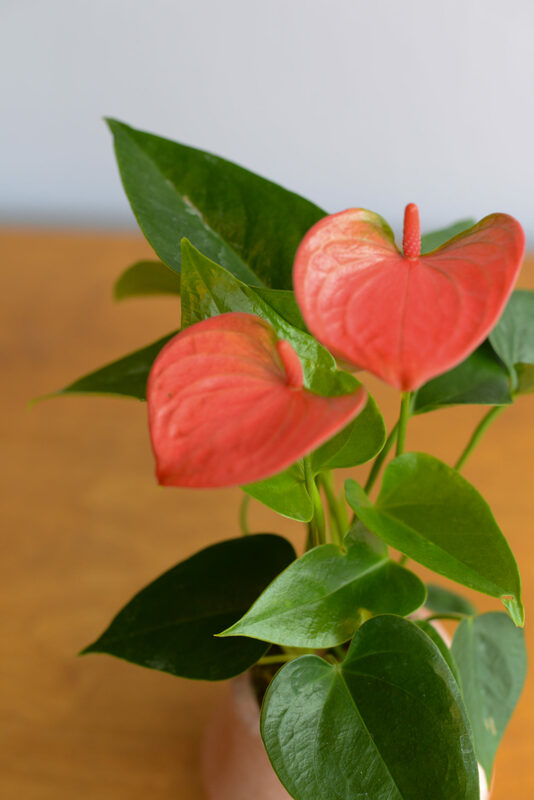 will bring a little whimsy to your home or office, with its heart-shaped blooms and glossy leaves. 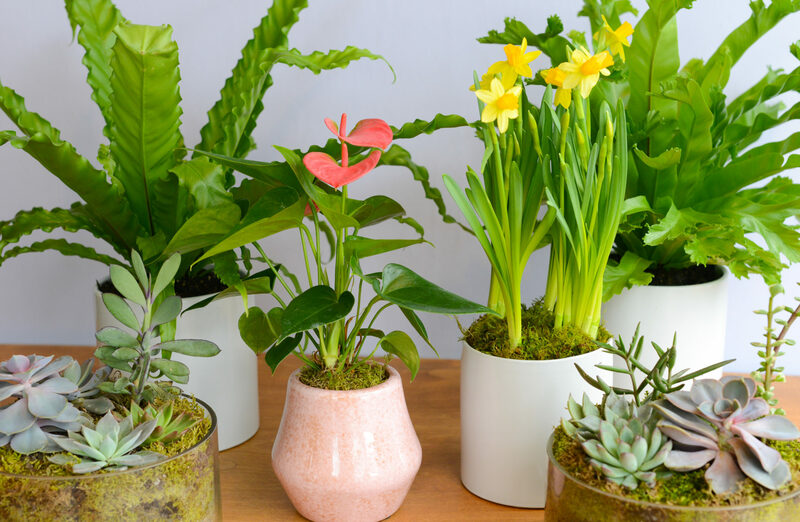 Enjoy its beauty nearly year round; it’s often called the world’s longest-blooming houseplant! Plant care: Keep in bright light (not direct light), water weekly.